I'm literally spending this Wednesday night going through music sent to me, so expect several music posts throughout the night(As always, if you are or know of an artist that should be featured on The Spotlight, feel free to email me and we'll chat!). Another track I want y'all to check out is from Brooklyn-based singer Cato! Influenced by legendary artists like The Temptations, Marvin Gaye and Sam Cooke, as well as more contemporary artists like Boyz II Men, Lauryn Hill, and the late great Whitney Houston, Cato has a heart for soul and it's clear in his music! 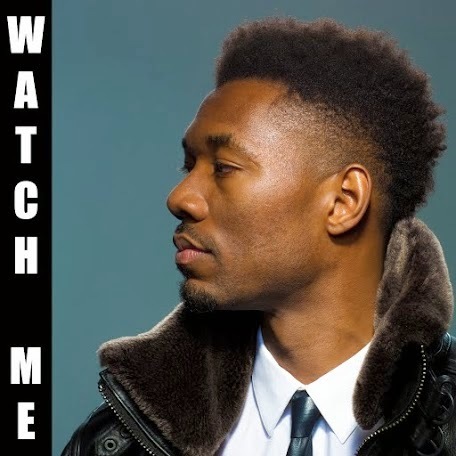 Released September 3, 2014, Cato's latest song "Watch Me" is an inspirational track for those involved in toxic relationships--romantic or otherwise. Sometimes it's honestly best to let go! "Watch Me" is a song dedicated to anyone who has had their kindness mistaken for weakness and had someone they love refuse to show them the same love and support in return. It’s about accepting the fact that one-sided relationships can be toxic. We're all responsible for our own lives, so If someone is not willing to give you what you deserve, it’s best to move on and let them watch you as you go after what you really want. I was in an unhealthy relationship a few years back and creating this song was my way of clearing my head, confronting the situation, and moving forward. I learned that sometimes forward motion is best achieved alone." I respect any artist that can express true vulnerability in their music. Cato is a great singer, and this song has an awesome message. Check out the track below! You can learn and hear more about Cato on his official website as well as SoundCloud. You can also connect with him on Facebook, Twitter, and Instagram!